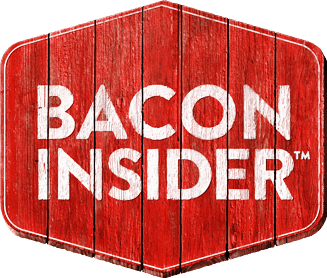 Here’s a fun lil game that also helps promote a cool product called the “GasGenie”, which alerts you when you are low on propane gas for your grill. How many burgers can you toss on the grill before you run out of gas? 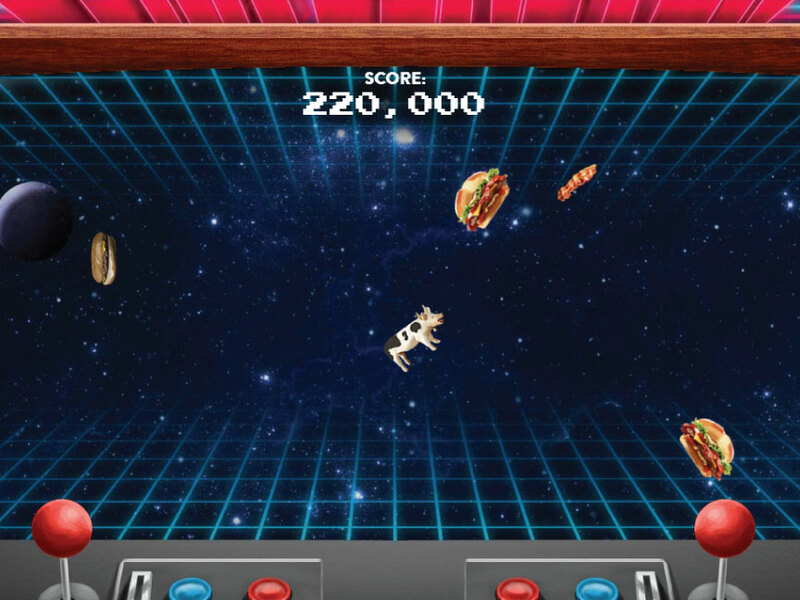 Check out this Burgerang – Mad Burger Attack video game for your mobile device. 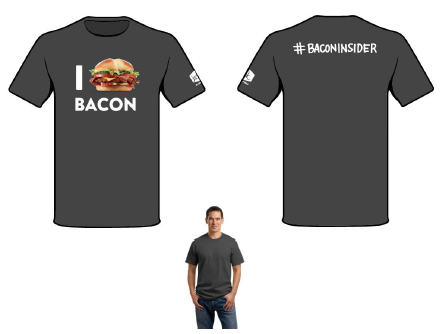 The Burger Rebellion has began and only you can stop this madness. 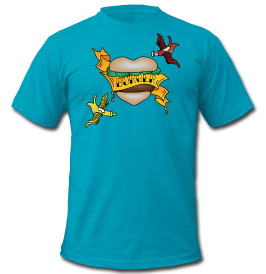 Toss special boomerangs to beat all sorts of crazy burgers and protect yourself from this tasty assault. 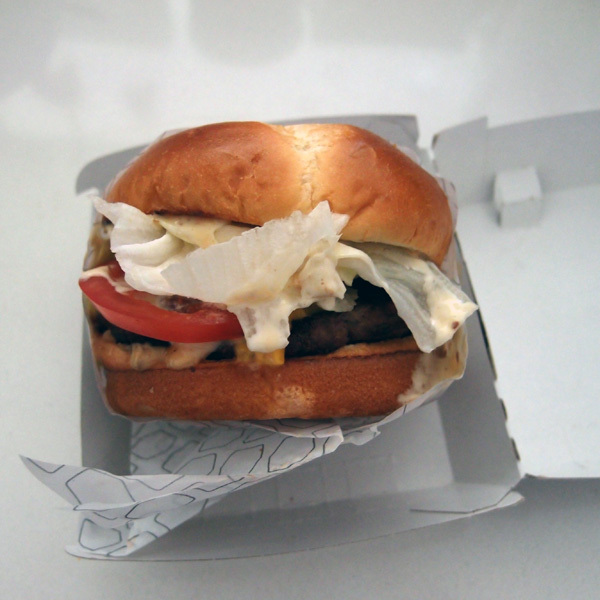 Well, we all knew this day would come — burgers just couldn’t be so delicious at no cost! Mad sandwiches of all sorts to beat: the CONGA burger, the CHA-CHA-CHA chilli beef, the PSYCHIC veggie steak, the TIPSY meal, the frightening DOUBLE and TRIPLE cheeseburgers and more! And don’t let the special power-ups slip away! Blow everything up with BOMBS, chill the burgers with ICE FROSTING and give your boomerang a boost with some MUSHROOM magic. 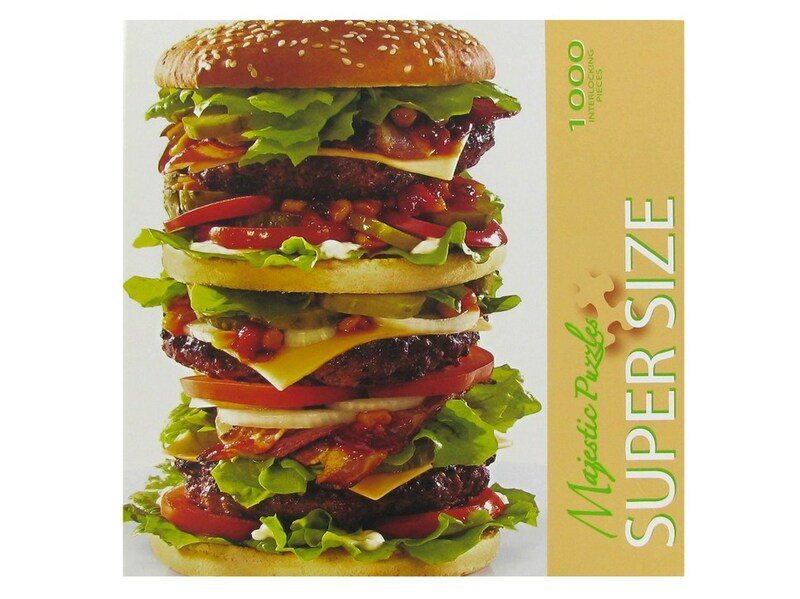 Got one of these sets for this past X-mas… Who’s ready for a 1000 piece puzzle that will make you hungry while assembling it? 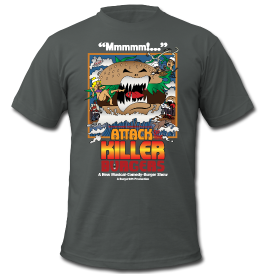 “It’s Burger Time! 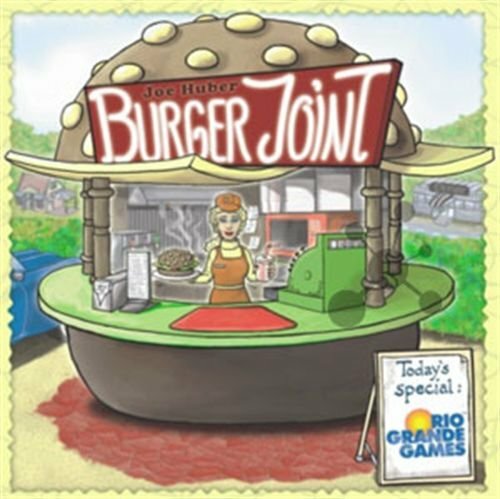 Kids get to play burger chef and make some homemade burgers. 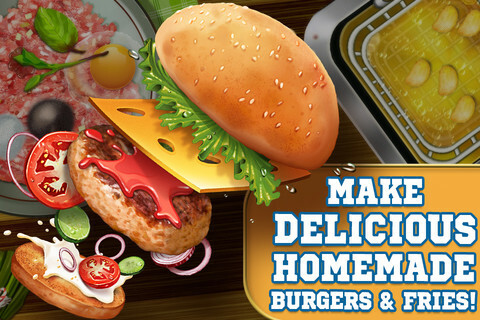 With dozens of toppings and buns to choose from as well as sauces, cheeses, spices and condiments, this epic burger chef app is fabulous! Grind up the meat, add spices and special ingredients to flavor your patty. Slather sauces on your burger fingerpaint- style for extra flavor. Get busy with some homemade french fries! Chop up the potatoes and pick your shape – funny faces, crinkly or zig zag – you choose. Now it’s time to flip & fry your patty, but be careful not to burn the burger! 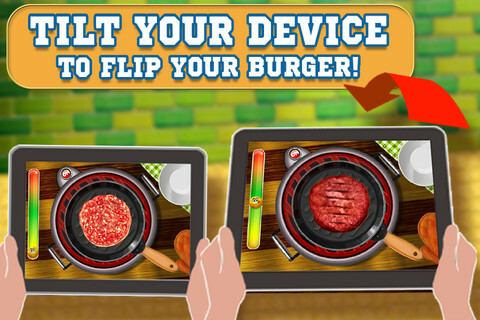 An awesome feature has kids flipping their device, which activates the flipping of their burger. Anyone play this game yet?